Congrats to the whole Team of Brokers at H D Consultants for consistently providing nationally recognised professional advice, service and expertise in this specialist marketplace. Mortgage Introducer said ... "In total we received over 30,000 votes, and after carefully verifying each and every one, the results are in. The competition was so fierce that there were even a few categories where 5th and 6th place were tied" Howard is named as one of just 5 Finalists, with the other 4 being large Companies and Howard is the only named Individual Broker! 2018 has been a great year for property and finance industry award nominations and we are hugely grateful for everyone's support and votes. "Every year, the awards committee narrows down each award to a selection of finalists per category through an impartial, thorough, and transparent nominations process. This year the Property Investors Awards team has received its largest number of nominations to date. With so many outstanding candidates, the competition has been fiercer than ever before. 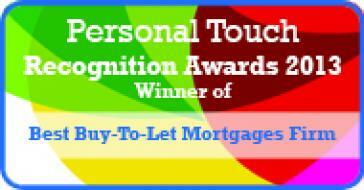 Simply being named as a finalist is a fantastic achievement in its own right." ................. and we have been shortlisted to one of just 4 candidates for the Finance Broker of the Year 2018 award. 2018 has been a great year for recognition among our peers. Thank you to all of our Clients and colleagues for your support, loyalty and new business. H D Consultants is hugely proud to announce that we have been nominated in the 3rd Annual national MoneyAge Awards "Mortgage Adviser of the Year or Mortgage Broker of the Year 2018" category. The MoneyAge Awards celebrate excellence, professionalism and innovation in the hugely competitive but critically important personal finance space. Honouring the banks, building societies, savings and investment providers, mortgage companies and personal finance specialists that have proved themselves ahead of the game in the field of consumer finance with their product provision, innovation, focus on value and customer service, these awards are judged by an independent panel of highly experienced judges spanning the various fields of personal finance. We are delighted to announce that we have been listed as a nominee in the Specialist Finance Introducer 2018 Buy To Let Broker of the Year awards. We continue to be very grateful for your continued business and your support and these formal recognitions are proudly received. 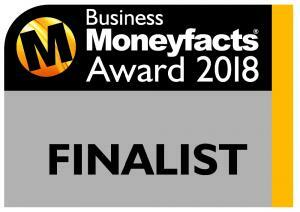 H D Consultants is thrilled to announce our - fourth year in a row - shortlisted Finalist nomination in the national Business MoneyFacts Award 2018 for Best Buy To Let Broker. A heartfelt thank you to those who made the initial nominations and to those industry judges who considered our proposition and then shortlisted our Company as a Finalist in the Best Buy To Let Broker of the Year 2018 award. In a turbulent marketplace, the Team of professional Advisers at H D Consultants' continues to invest in education, client-centric support and a common team-spirited drive to ensure our BTL Clients' requirements are fulfilled. Our portfolio Clients remain loyal to us and our proposition and we are delighted to continue to offer our service, for which we are very grateful to be recognised too with these nominations and awards. 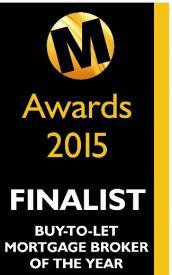 Once again, thank you to all those who have nominated and judged us as Finalists on this prestigious awards. The Mortgage Introducer 2017/18 Awards promote and celebrate the outstanding achievements of businesses and individuals within the intermediary market. Winners are selected from the people, products and services that demonstrate excellence and originality within the intermediary mortgage market. Our philosophy is not to 'sell mortgages' but to help our Clients to arrange the most suitable mortgage debt arrangement. Because we are financial advisers, so we consider it our duty to bring the subject of protection to the fore as well. We have now advised on over £280million of sums assured providing peace of mind and financial security assurance to hundreds of families, property owners and businesses. The inaugural Property Wire Awards are brought to you by the team behind premier global property news service Property Wire, at a time when the real estate industry in the UK is going through change and growth. PWA have said "Currently, one of the biggest growth areas in the property industry is buy to let, so our 2017 awards... is a chance to celebrate the hard work that has been going on in the industry, rewarding excellence and looking at the champions of the industry today and in the future. The awards aim to recognise those who are embracing the changes in the property industry, not just coming to grips with innovation and transition, but also making the future in terms of pushing the boundaries in a professional manner." Once could be considered as an accident ……. Twice might be thought of as a nice coincidence ……….. BUT, three times in a row, three consecutive annual shortlist nominations, well that’s surely got to be considered as a testament of our service to the industry and most importantly to our Clients ………. THANK YOU to all of our business associates and Clients who put our name forward and supplied positive feedback for these prestigious industry nominations. My current Team and Staff are a pleasure to work with and consistently prove that their focus is to achieve client satisfaction every time. We have seen 'commission hungry salesmen' come and go, and we see them still in other Firms and networks, but as I write this today (13th December 2016) I am proud to be part of a national award winning and constantly nominated professional Company. Thank you to Stephen, John, Caroline, Di and Eve, you're all a tribute to what's right in our business and a big thank you to all of our new and existing Clients, and our fabulous business associates too, for your continued support. Just a week or so after being informed of our multi-nominations in the Specialist Finance Introducer awards (below), we are proud to announce that we have now received notification of several more from another industry awards organisation too! Thank you to all of our Clients and business associates who continue to put our name forward and vote for us. We are truly grateful for your continued support and new business. 4 weeks. 23 categories. 6,000 nominations. 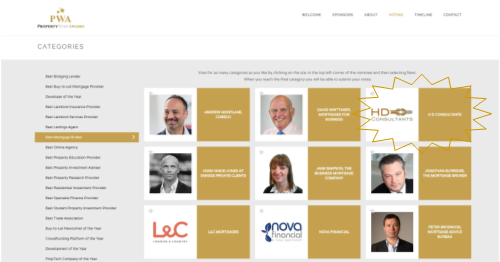 .... and from this massive list, we are delighted to announce that H D Consultants has been nominated 6 times across 5 different categories in the final 'long list' of the 2016 Specialist Finance Introducer awards. 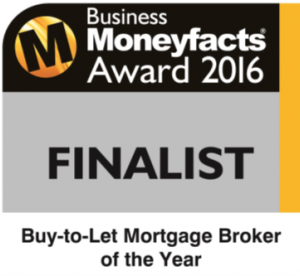 It's December 2015 and .... a very nice way to end this year > We have just been notified that H D Consultants has once again been shortlisted in the national 2016 Business MoneyFacts Buy To Let Mortgage Broker of the Year awards!! In the 2015 ceremony, we won a 3rd place "Commended" award. In our first ever national nomination, from a UK wide potential pool of 16,000 mortgage Brokers, that was an incredible achievement for us and our Team was rightly proud of their final result. To be shortlisted in the top echelons once again - amongst some heavyweight finalists - we are delighted that our Client-centric focus and professionalism has been recognised by the wider industry and finance sector. "The 15th annual Business Moneyfacts Awards ceremony will once again celebrate and reward those who have offered the best products and services. Welcoming the opportunity to spotlight those still active within the commercial world, the evening of 17 March will see this widely anticipated event provide a welcome boost to those who have excelled in their specific sectors." Thank you all for your support for our previous 'win' and for our nomination and your kind testimonials for 2016 too. 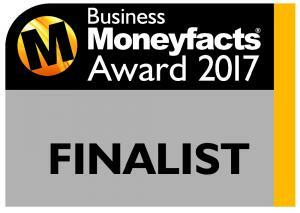 The Business Moneyfacts Awards are presented at the single most important awards ceremony in the business and commercial finance calendar. Business Moneyfacts is the only industry publication to reward outstanding service levels as well as recognising product quality. Rigorous product monitoring is carried out throughout the preceding year and the community is also consulted for their feedback. Every year the Business Moneyfacts Awards showcase a sector that continues to innovate, grow and excel. 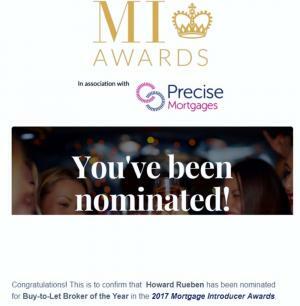 And this year .... H D Consultants has been selected and shortlisted as a Finalist (one of only eight BTL mortgage companies in the UK), as a contender for the Buy To Let Mortgage Broker of the Year. We're told that the Winner is not based on the organisation with the most number of votes, but instead the quality of the testimonials provided in the voting form, to determine the underlying service provided. We are the 'smallest' Firm amongst the 8 shortlisted Finalists, can we get a podium finish and show that quality shines over quantity? 19TH MARCH 2015 UPDATE - PROUD PODIUM WINNERS!!!!! 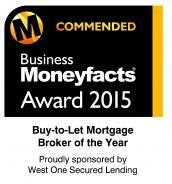 H D CONSULTANTS NAMED AS "COMMENDED" BUY TO LET MORTGAGE BROKER OF THE YEAR!! H D Consultants to be the winner of the coveted ‘Buy To Let Mortgage Firm of the Year’ award at a Gala Dinner and Awards ceremony attended by hundreds of finance professionals, advisers, lenders and industry providers. January 2015 brought yet further recognition to H D Consultants' endeavours. 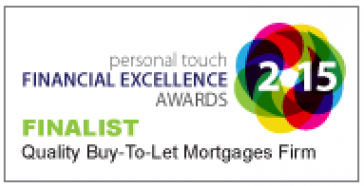 A year on from being named as the Winner of the Personal Touch Financial Services network's BTL Mortgage Firm of the Year award, we have now also been shortlisted as a Finalist in their Financial Excellence awards in the Quality Buy To Let Mortgage Firm category. Howard Reuben, Principal, comments"2014 was an extraordinarily successful year for the Team as we welcomed new Advisers, moved in to new offices, we were appointed as sole providers of financial services to a property investor network made up of fully paid subscribed members, and we also joined forces with other property investor networks as their preferred Brokers too. With fantastic Clients as well, I could not be more proud".